Since their inception, IQ tests have been employed to support a range of ideological agendas. Is there any evidence that there are innate racial differences when it comes to intelligence? During World War I, IQ tests developed by Robert Yerkes were given to army recruits where they showed differences between racial groups. This fact was eagerly embraced by the American Eugenics movement underway at the time. The differences were held as proof of the superiority of the Anglo-Saxon intellect, a justification for racial segregation and an argument for tightening immigration policy. Debate about these differences has only continued since then. While controversy remains over how to define “race” and “intelligence” in the first place, there is further debate over what proportion of racial IQ difference can be attributed to biological vs. environmental factors. While most modern researchers agree that there is no genetic basis for the difference, it’s proven a challenge to explain exactly how and why it exists at all. In 1994, the controversial book The Bell Curve claimed that inequality in the U.S was caused by innate racial IQ difference, and not the other way around. Both the American Anthropological Association and the American Psychological Association have distanced themselves from the claims in that book, however. Modern psychometrists focus instead on using tests that are truly culture- and background-neutral, and addressing questions of justice for those who’ve been disadvantaged. Research into group intellectual differences today is unlikely to find a platform, since many believe that the history associated with this field simply makes it ineligible for ethical scientific investigation. 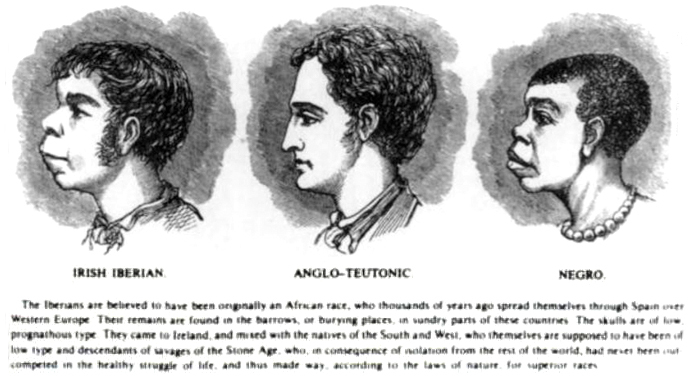 Most anthropologists and geneticists now consider race a largely sociopolitical phenomenon. A test’s validity depends on its ability to measure what it actually claims to measure. If a test measures a person’s IQ but simultaneously measures their deficit in formal education up till then, the test is necessarily less valid. Most intelligence tests measure both fluid and crystallized intelligence, which has a large foundation in acquired knowledge and education. Because some people receive that education to a greater or lesser degree, IQ tests have been accused of being unfair and invalid. Another criticism is that even when education levels are accounted for, cultural differences may still interfere with scores. If the entire concept of intelligence is culture-specific, it is also unfair to assess a person from one culture using the standards and definitions from a different culture. Lastly, even when education levels and culture are controlled for, some small differences may remain. Researchers have investigated the complex reasons why and concede that racial stereotypes, testing bias and self-fulfilling prophesies around IQ could explain why certain groups may outperform others.